It was a lonely quiet night. I hadn’t slept for 20 hours. My coffee was depleted and my energy even more so. Despite this, I had just spent the last 3 hours of my life searching for an audio editor that would do what I needed. I had over twenty different pieces of software that had audio editing capabilities. Yet none of them could perform the simple task that I wanted to carry out. Eventually I found an application that did exactly what I wanted with minimal effort. To be frank, I was ecstatic. That event inspired me to try out every free audio editor out there and compile this list. If you are thinking about setting up your own home studio, and you want to start looking at the available free audio editing software out there, you are in the right place. But, if you want the quick answer, I narrowed it down to a short list of the top 3 audio editors. Which Audio Editor Do I Use? This is the godfather of free audio editing software. You can multi track to an extent (have more than just one stereo track e.g. a full band recording). There are a range of effects and plugins, and it’s easy to use once you get used to it. 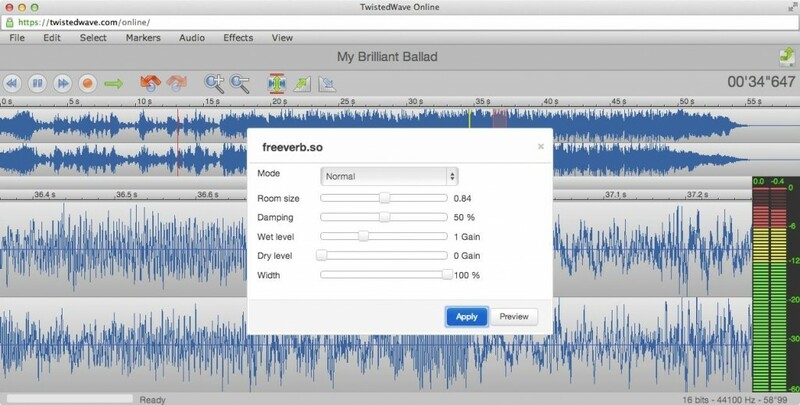 It’s by far the most popular free audio editing software. Volume automation is easy using the envelope. Deleting and muting sections of audio is also a breeze. Recording is easy too. Tip: Reset all the gain sliders if you want to do a gain staging/ track balancing. You might also like our post on how to eq vocals. It does have its drawbacks though. The user interface is not particularly appealing, and there a lot of features that you’ll rarely use that clutter the tool bar. It looks a bit ancient, but it gets the job done. This is an awesome starting point for anyone wanting a free editor. This new simple audio editor has a clean and colourful user interface. It’s so easy to use! It’s fast and it’s lightweight compared to Audacity. It’s bundled with loads of effects (including compression, EQ and reverb) that you can apply and tweak in real-time. This is a huge benefit as most free editors are destructive (they record effects straight to the audio) so you have to rely on a ‘preview’ button. This is how Audactiy works, for example. But in ocenaudio you can play with the parameters of the effect and hear the changes instantly. The editor has VST support so you can use your own plugins. It’s easy to record audio straight in to the software as well. There are lots of useful tools (such as a spectogram) for the more advanced user. One downside of this software is that it only supports single stereo/mono files. 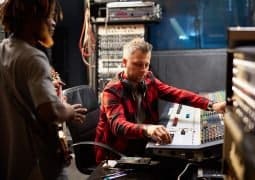 You can’t have a multi-track session and record several instruments in your home studio and mix them. 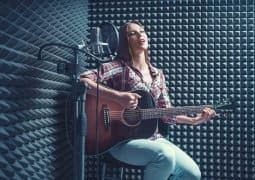 More on recording voice and mixing vocals here. But for editing stereo music files, or mono audio files (such as a voice recording) this is awesome. It’s also relatively simple in terms of features compared to Audacity, although they aren’t trying to compete on that front. This is a member of the new wave of online audio editors that run in your internet browser. And it’s my favourite of that bunch. Released in January 2015, I only discovered this a few months ago. The interface is clean and user friendly and the learning curve is pretty much non-existent. Three cheers for simplicity! 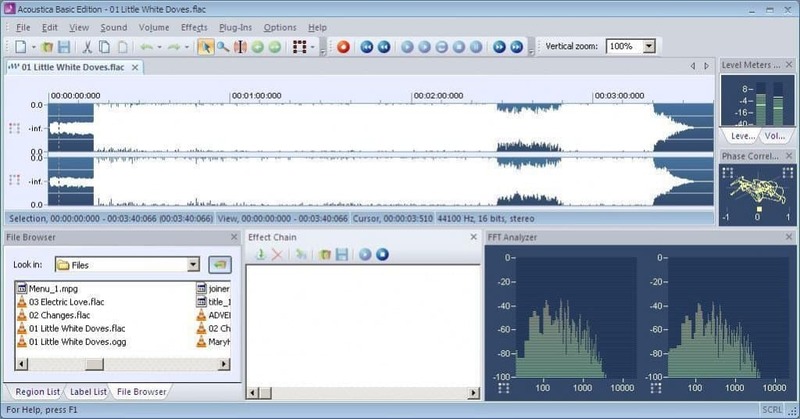 Browser based DAWs could be the future of audio editing. There are several out there for music composition already and now more audio editors are appearing too. 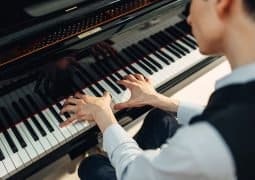 Click here to see how to master a song at home. This is ideal if you are recording or editing on the fly and don’t want to install large programme on to your laptop. A slightly older DAW, but still highly useful. The interface may not be as sleek as some of the editors listed here, but it makes up for this in features. It’s easy to install and easy to use. 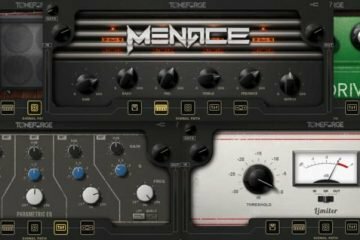 There are lots of bundled effects including noise removal, compression and reverb. There are also some great analysis tools for more advanced users. Reverse reverb: here’s how to create this cool trick. Pitch and speed changes are possible. So is audio scrubbing, which can be very handy. It doesn’t support multi-tracking so you can only edit stereo or mono audio files. My absolute favourite feature of this software is the batch processing (which I discussed in the introduction). You can apply compression, reverb, EQ or any effect to a number of audio files at once. This can save you HOURS in the right situation. 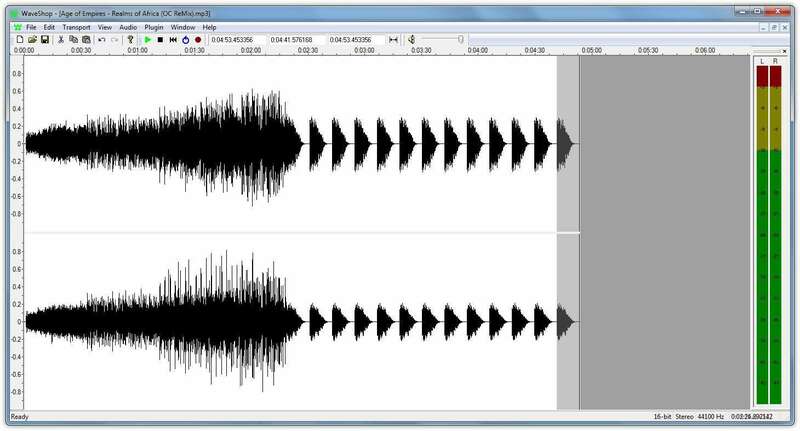 Another awesome online web application for editing sound. Again, it can’t multi-track, but it makes up for this with usability and features. It’s easy to normnalize your audio and the effects are easy to apply. Quick tip: like a lot of audio editing software, if you delete a section of audio the rest will ‘shuffle’ back so that there aren’t any gaps. If you want to remove noise without shuffling the audio, you need to ‘mute’ or ‘silence’ the section with noise. In TwistedWave you can do this easily by highlighting the section of audio that you want to mute and hitting ‘s’ on your keyboard! This one is a bit ancient. Dinosaur… Wavosaur… get it?! It’s looks like the missing link in the evolutionary chain between tape cutting (prime apes) and modern best DAWs (humans). Joking aside, this application may be basic, but it works. The download is only 1.3MB. Now that is small! And it’s not that old. The latest version was released in 2013. It’s a good piece of classic Windows music production software. No frilly bits, no messing about. Straight to the point. It supports VSTs but doesn’t come with any. If you want to apply effects you’ll need your own. There are loads of great analysis tools and volume automation is easy. It’s very basic and doesn’t look great. But if you just want to get the job done without downloading a huge application, it’s perfect. This is a great online application that also functions as a multi-track DAW. This means you can have several audio tracks playing at once. The interface is attractive. It’s easy to record. Volume and pan automation are easy to perform. You can change the color of the tracks to keep them more organised. Time stretching is also supported and there are a range of effects and plugins. There is an awesome looping feature reminiscent of Logic Pro. 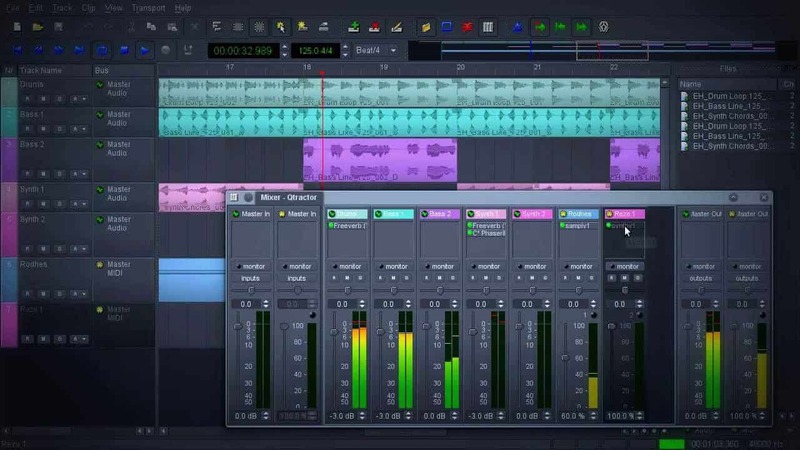 This application is geared just as much to music composition and arrangement as audio editing. 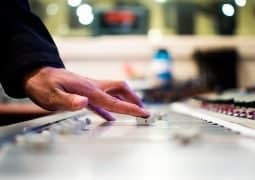 Yet this may be it’s downfall when considered an audio editor – it’s features and workflow are perhaps better suited to arranging music. Easy to set up a project and start recording. It has a scrub tool which can be extremely useful! Unfortunately the basic edition does not support multi-tracking but there are some great analysis tools. This is also the only free audio editor that I have come across that comes with a convolution reverb (a special type of digital reverb you can use to semi-accurately model any room). You have to use your own impulse files though. If you just need to crop some tracks and add some fades, this tool is perfect. It’s simple, the interface is great and the keyboard controls are intuitive. You can also import files from Dropbox or Google Drive so it fit’s in perfectly with cloud based storage. Another simple and free audio editor. There’s nothing particularly special about this one, but it will meet basic audio editing needs. You can apply effects non-destructively which is pretty useful. You can also create your own presets. WaveShop supports multi-channel audio (up to 18 outputs) which could be useful in the right situation. It also claims to be ‘bit-perfect’, so samples aren’t changed needlessly. I can’t think of any more reasons why you would want to use this over any of the other editors listed here. 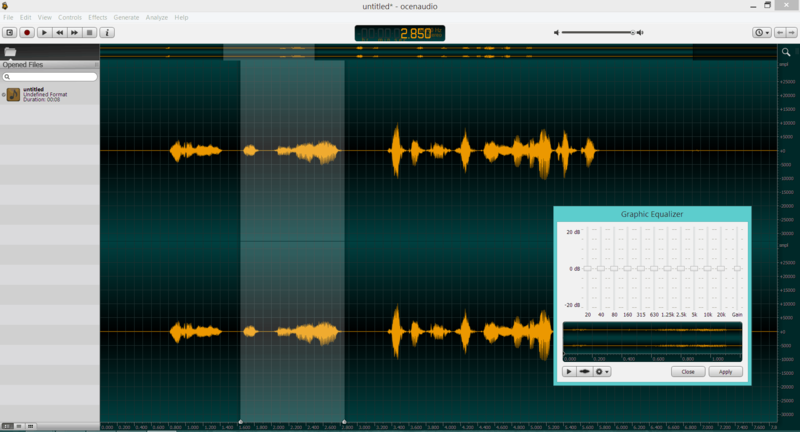 But it’s worth taking a look if you want a simple Windows application for basic audio editing. A colourful and sleek UI, multi-track support and even a mixer! This one is perfect for Linux users. Unfortunately I don’t have anything running Linux so I can’t give this a try myself. It has some great reviews though. If you need to make edits on the move, check out this Android app. It has over 1 million downloads, 55,000 ratings and a range of features. I tried every editor on this list, and narrowed it down to the top 3. QuickBooks Enterprise by Intuit offers extended properties and functionalities to users. It is specially developed for the wholesale, contract, nonprofit retail, and related industries. QuickBooks Enterprise Support telephone number is recommended for users to give you intuitive accounting means to fix SMEs running enterprise type of QuickBooks. QuickBooks Payroll Tech Support Number helps one to resolve all your valuable technical and functional problems whilst looking after this well known extensive, premium and end-to-end business accounting and payroll management software. Our experts team at QuickBooks payroll support number is going to make you understand its advanced functions and assists someone to lift up your business growth. Rob I am very much delighted with this post. 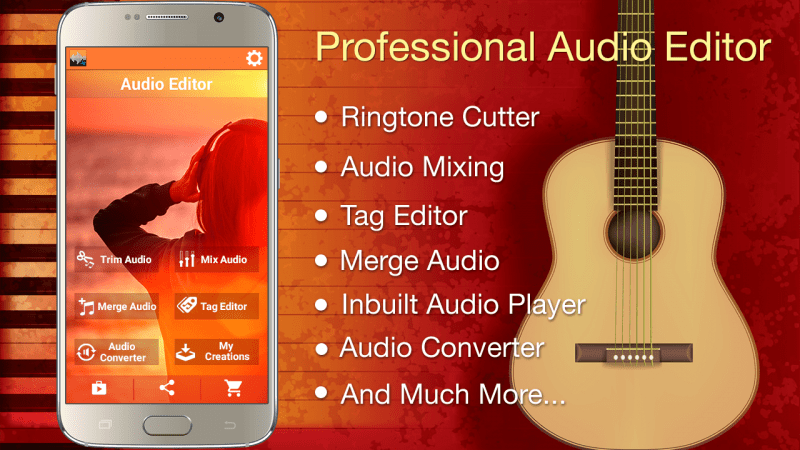 Audio mp3 cutter which you have suggested for android, since many time I was searching for suitable and fast app. Your this post has helped a lot. I am highly grateful to you. Only one you forgot is Sound Forge and ACID both by magix, As a narrator i use Sound Forge and it is GREAT!!!! Finally found someone who says Acid Pro And Sound Forge Are The Best!!!! As a broadcaster and website operator use Sound Forge. It’s great for tight editing to do a really good clean-up job on speech productions. Totally agreed, Luke! Sound Forge XP (even after, like, 20 years or so) still ROCKS for those Nice, Simple audio jobs. No, the XP version doesn’t support multiple tracks, nor VSTs (it pre-dates VST!). But if you want a no-nonsense, ultra-lightweight, fast-as-hell audio recording and editng program, it’s tough to beat. My main audio work right now is recording/editing/mastering audiobook narrations, and Sound Forge XP is great for that. Drop Markers during for your re-takes, Edit each Marker to be the re-record script, then you can copy the Regions List (= Markers List) to the Clipboard — that last feature being something I only discovered a few days ago: D’OH! And when I do need to use a VST (for de-essing, compression, and so forth), I wheel out my copy of Adobe Audition V3 (no, not CS3, I mean Version 3!) and run the effects in that. As far as Wavosaur is concerned, the information given here is not correct. The article says that the latest version of Wavosaur was released 2013; however, https://www.wavosaur.com/history.php states that the latest version was released in 2017. If it’s true that you were up looking for the right software while missing out on some rest, thanks for giving us these information for free as they were and will be very helpful! Sometimes, people keep what they’ve worked soo hard for and want others to go through the same! Haha I never said they won’t learn more at the end! Funny how nobody mentions Sonic Foundry’s Sound Forge, GoldWave or Cool Edit as historic legends in that aspect. I still use older free copies of those, they work just fine in Windows 7 x64. Especially fairly recent Sony Sound Forge has a still unmatched UI! I have tried and used them all, mostly professionally, but also for home/studio/radio work. Sound Forge beats them all in logical thinking, and it makes the work so much more pleasant to do. I always seem to run back to Sound Forge, no matter what I try on other bulky editors with strange quirks or weird looking interfaces, SF does it faster, you can customize literally everything of it (also colors/sizes) and seems more lightweight, even though its disk-footprint definitely is not, it uses RAM way more efficiently than others. Even Audacity does really bad in that area. You need lots of RAM for that to run smoothly. I tried to find free equals to SoundForge, but I have yet to bump into one. I luckily still have a registered copy from way back when it was cheaper. Its price-tag now is just bordering on insanity. If you want the noise reduction / noise filtering plugin, you immediately need to pay up for the Pro version at Magix, which costs around 400 USD now. Seriously, who’s going to pay such ludicrous amounts for something as basic as audio-editing? I’d much rather have paid Sonic Foundry around 80 euros or something, and then have THEM update Sound Forge with their mindset and dedication. Ever since they sold it to SONY, it has gone downhill in many ways, especially in their pricing. Cool edit really was great… Haven’t seen it for years but would love to revisit it. There is an Android app called dWave Studio that is very very good. I have been using the beta for months now and am extremely pleased with it. I’ll even go so far as to use it and n my pho e instead of audacity on my PC. It’s that good. Sorry., It’s just wave studio. No ” silent d”. Cool Edit Pro became Audition when Syntrillium Software got bought by Adobe. I’m also from the radio field and all I can say is “Amen”! Sound Forge is also my choice for all the reasons you stated. I’m “only” using SF 7, but it does all I need it to do. As a music teacher, I have some unusual requests!! First, it needs to be ridiculously easy, almost like a toy. Second, It would be extremely wonderful if sharing (importing/exporting/previewing) clips were easy as well. I’m thinking something like “Padlet” for audio. Make a clip, post to a wall of clips from your classmates. Import/export clips in and out of your tool, remix, edit, etc. 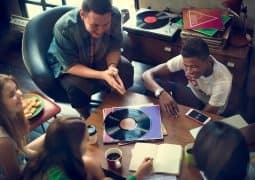 Each student make his/her own song made from shared samples. Hya-wave looks promising! Wave pad?? Any thoughts about how I might make learning en masse easier is appreciated! Just wanted a simple editor to trim recorded files, possibly fade in/out, etc. Nothing complex desired. Tried ocenaudio and Hya-Wave to avoid installing software, but they didn’t work for me. Downloaded WavePad – simple, intuitive, easy, with tools I may never use. Excellent recommendations and avoided a lot of installation trial and error, restore points, uninstalls, etc. Thanks for the recommendations, Rob! REAPER has full editing capability as it is a serious recording tool. It has a small file size compared to other tools in the same category. After downloading REAPER, look at the videos page. The videos will show you exactly how to use REAPER. I experimented with two programs recommended here. I am not a PC novice but definitely I am a novice at video & audio editing. I started with something I expected to be dead simple: remove the introductory audience clapping from trumpet piece. I also needed to eliminate this same clapping at the end of the piece. 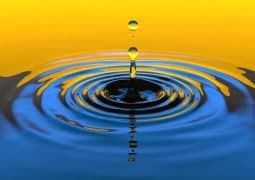 Once I got used to the principles employed to do this ( fairly intuitive but definitely not “simple”), i immediately noticed that I could not do these tasks with any precision. Moving a cursor can’t easily be done within one or two second accuracy on a 16 min track. So after multiple attempts I had a track which was almost as I wanted it. All this took well over an hour & to me looks like a fundamental weakness in the two programs tried. Both were said to be easy to use. Many other oddities found which would make both programs not practical for the occasional user who might easily forget the step details. Good day Sir .I love this… please sir I need your help in area of recoding voice and mixing I’m just a beginner and I’m facing a lot of challenges please sir I need your help thanks. I was just looking for an article of this kind, and there it is! I started off in MIDI – Cubase on C64, Atari ST and PC. Now it’s DAW, still Cubase, but a lengthy process compared to the way of working in the past. In the days of W7, i used Crystal, free and very fast & simple for assembling a collage of samples for music by the fancy name of Musique Concrète – as if sequencing a selection of samples on S-1000. Now on W10, Audacity came in the package. The basics are there but the amount of real-time control is minimal. The graphic interface is irritating but that’s endemic. 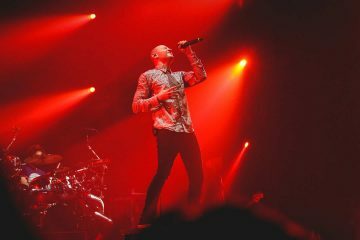 For the type of music I do in this case, sounds have to be totally perverted – nothing’s to sound too “normal”. Thanx for the list, I’ll check out what can replace Crystal. But yu made Crystal sound cool! Can you provide a link? Your November 2017 updated article doesn’t mention that Wavosaur was updated to version 1.3 in 2017 and now works flawlessly in 32 bit AND 64 bit. Wavosaur has more tools and helpful calculators than most of the other editors (among which I use audacity and Ocenaudio for different matters). It has many decent though minimal real time and offline monitoring visualization and statistic rendering and gets the job done. Last but not least, it loads up to 255 VSTs in Rack as FX-chains (with re-ordering, mute/solo function) open/save FXB/FXP which is a HUGE advantage for flexibility. It allows any kind of non destructive sound design and processing. None of the other free editors can beat this one on this aspect of edition I believe. It makes mastering tasks a breeze and super fast. Its biggest drawbacks is that it doesn’t edit metadata and doesn’t import as many format such as flac. 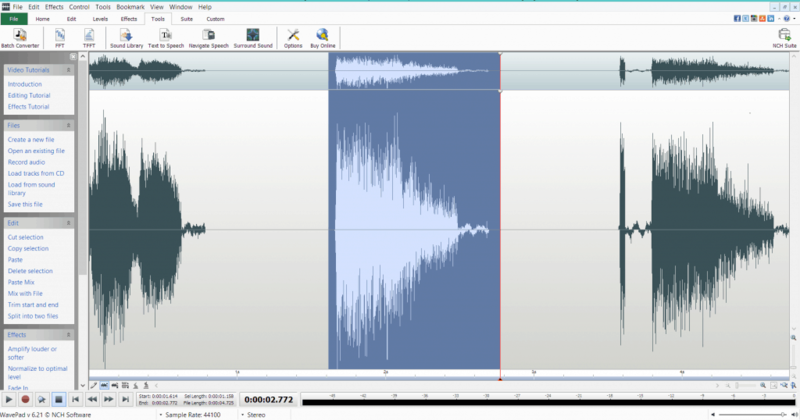 Still, Wavosaur is some kind of Soundforge made free. You really can’t go wrong with this one. PS: There is no free versions of Acoustica since version 7, which IMO makes Wavosaur it’s direct replacer. I saw your list and, because I was not happy with Audacity, I’ve tried the second one: Ocenaudio. I’m using for 2 day only, but I’m very happy with it. A really excellent and easy to use programe. Thank you! I recommend it! I’ve been looking for a list like this for YEARS. Thank you!! I think you missed out FlexiMusic Audio Editor !! It is easy to use and has a great deal of options. I have multiple recordings of a single conference at different locations according to the speakers. Of course if they all used the microphone there won’t be any issues however, that was not the case. With that being said, would there be an optimal software where I would upload all the audio files in multi tracks and with a single function would enable me to have a single final audio file where the software would only take the clearest pitches of each sound file? In other words, say speaker A would speak in Audio File A. It’s not that Speaker A would be speaking all the time during the Conference. Would there be an existing software or function where the software would automatically crop the high pitches, the actual speaking voices and edit/crop them into a single file? I’ve been struggling with this problem for quite some time and for ever similar occasion had to simply resort to manual options where it would take me nights after nights for the editing. And the backside would be that there would eventually be some howling esp on the latter part of the file. So, if you could help or give me any kind of advice, that would be mostly appreciated. I’ve been using Audio Cleaning Lab by Magix for a number of years. I’ve used several versions of it, and use it to edit and clean up recordings of sermons for our church. Recently I’ve also started to add music/speaking introductions and conclusions to the sermons, as well. After using it as much as I have, I am very comfortable making edits. It has some limitations, in that it will only work with two stereo tracks and only record one source at a time (mono/stereo). 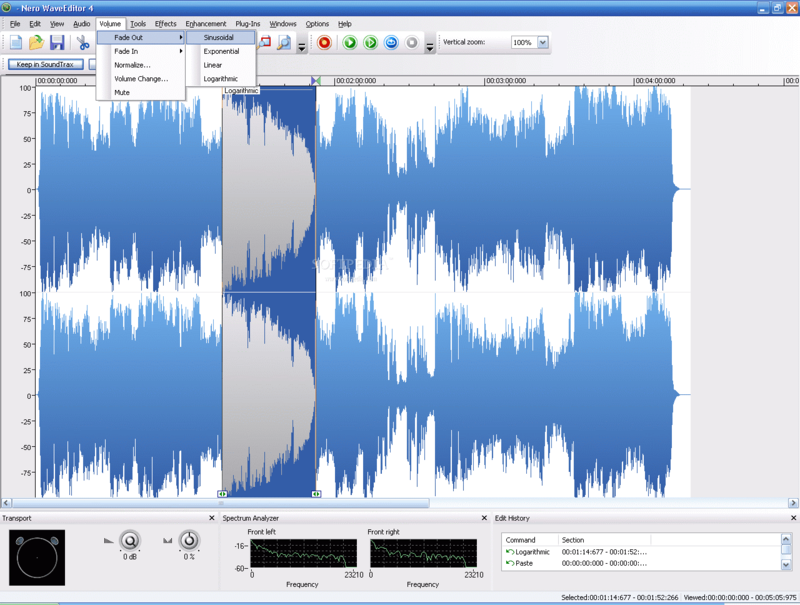 The nice features include the ability to cut out individual pops/clicks down to fractions of a second, fading in/out of the multiple tracks included in a recording, normalizing volume (selectable), expandable timeline to facilitate accurate edits, multiple built-in cleaning filters (completely adjustable), and a free downloadable 30-day unrestricted demo that becomes the full version upon purchase of the license/registration. Thank you so much for this great list. I need to record four tracks simultaneously using the Behringer UMC404HD. I was assured by several dealers before buying it that this would work but it doesn’t. Audacity says this is because the (program) needed (maybe ASIO) needs to be paid for. This implies to me that NO free recording programs can record more than two track at a time. This seems a basic requirement but it is rarely mentioned in articles, reviews, and ads. It’s rarely mentioned in regards to budget-priced programs either. Even expensive programs do not provide a list of the digital interfaces they will recognize. I’m pretty puzzled by this. Not quite Terry. The reason Audacity doesn’t have ASIO support built-in is not because it’s free but because it’s open source. Including ASIO as it stands would violate either the GNU license rules or Steinberg’s license – a bit of a catch-22. You can get Audacity with ASIO if you compile it yourself and add in the ASIO plug-in and promise not to distribute it to anyone else. Compiling Audacity from scratch is, it seems to me, not something to be taken lightly. So, free doesn’t mean no ASIO. I’ve found a mixer/editor called MixPad by NCH which purports to support ASIO and multi-track recording and editing. First though I need a decent audio interface to connect to it. I just saw your response…don’t know why. I will take a look at this. I previously corresponded with them but they wouldn’t tell me if their program would work with the Behringer. Tnx. 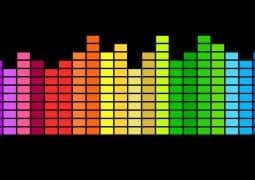 Thank you ever so much I’m quite new to youtube and have been looking for some software to alter voice recordings. 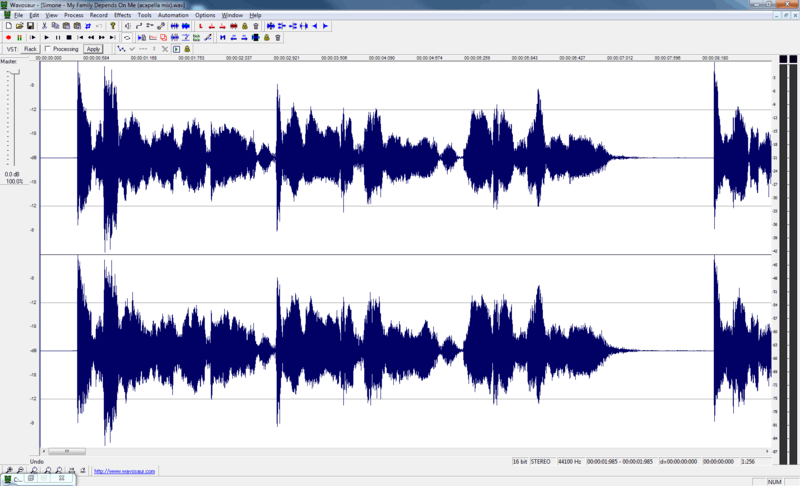 Audacity – downloaded in seconds and minutes later I’ve got a little recording going. What was that task you were trying to do and forced you to find another editor? Process about 20 different audio files at once! watch out! Scam! The MAC version it just an installer with another name for the standard Audacity 2.1.0 software, but before it will install MacCleaner to your MAC! I’ve used Audacity almost exclusively for years and always wondered why the plug-ins LAME and Fmeg are necessary in order to export various file formats, MP3, etc. Do any of the other fifteen editors you sampled also have that feature, that additional plug-ins like LAME and Fmeg are necessary? Anyone out there use Ocenaudio and how does it compare with Audacity? MP3 is a copyrighted, non-free compressed data format. 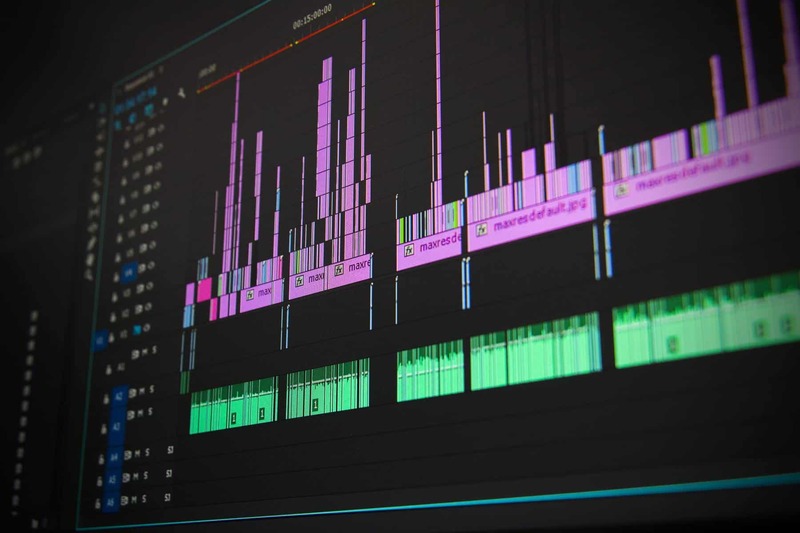 Several open source audio editors deliberately avoid building MP3 support into their own source code because of the licensing problems this may cause. Instead they rely on the user adding 3rd party plugins/software to address support for these formats. This puts the licensing burden on the user and/or the 3rd party software (e.g. LAME or ffmpeg). it’s a whole less complicated, has more options, and doesn’t cost anything unlike audacity which does. Will you publish the best free audio editors in the end of the year? Also, Audacity and Qtractor are my favourites. Thanks for great reviews! Before you install Nero Wave Editor (Windows) please know it will install an app called OpenCandy that installs in most browsers and runs ads. I read complains that if you don’t install it with Nero it won’t let you install Nero. Look up reviews for Nero Wave Editor (Windows) and do research on OpenCandy and it’s removal before installing. I won’t touch Nero Wave Editor (Windows) because of this. 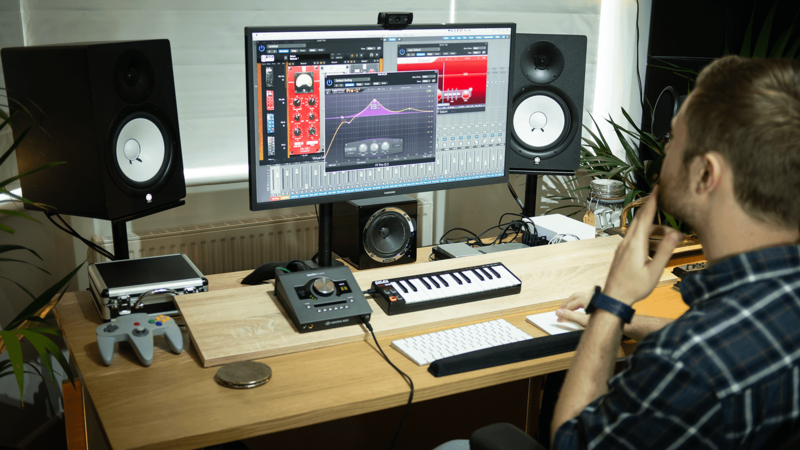 Rob Mayzes, before you create your next article, learn the difference between a DAW and an audio/sample editor. They are not used for the same task. You’re mixing both kind of softwares in this article. Audacity would be great if only it would export MP3 files. Related to Pete Melissakis’s comment. I use Audacity everyday. I record complete albums in Wav format, then I split out all the tracks and then I export in MP3. No problem at all. Just splitting the tracks is a bit time consuming!! Hi Pete, You need to install the MP3 Codec (LAME) to export MP3’s. Audacity usually prompts you to do this when you try to export to MP3. it does! 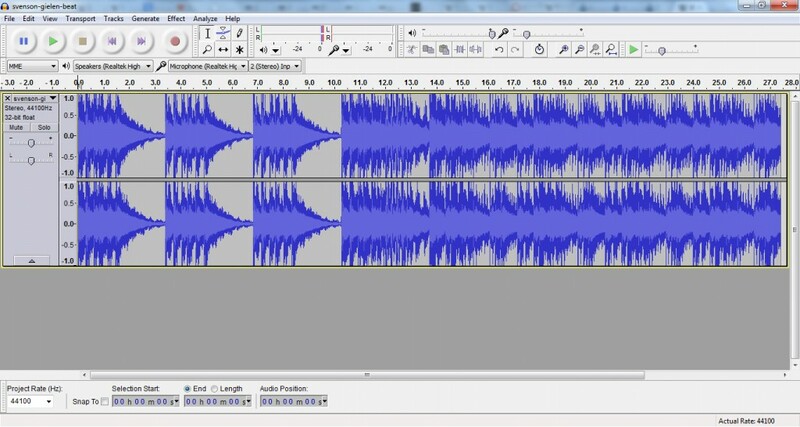 i have been using Audacity for many years, I use mp3 importing them in and exporting. Audacity does export MP3, I’ve been doing it for years! Hi Rob! First of all : thanks for your great posts and curses! I was looking for an Audio Editor where I could also edit fades and have the best zoom level on the waveform to be the more precise as possible. Hi, I’ve been trying out a few of these free DAWs, using my laptop with windows 8.1 and my focusrite 18i20 and I haven’t had much luck with anything free thus far. Studio one was a big disappointment because you go through the trouble of signing up, installing it and setting it up and then after a while you realize that it limits you to two tracks. There’s just stuff like that. The best thing to do is just buy the full version Reaper. It runs on anything–mac, pc, linux–and it’s very smooth and runs on my systems. Where as protools and cubase are huge hogs on your system and bug you endlessly with registration related stuff. I can’t stand protools especially. Honestly I’m thinking of going to logic pro, after many years of messing around with windows apps. Your are wrong about Studio One limiting you to 2 tracks. It’s unlimited even in the free Prime version and as of version 3.52 the Arranger track is now included in this free version. Here’s a short summery. “Studio One Prime does not time out, feature a nag screen, or limit the number of songs you can create. #15. HTML 5 Audio Editor (web app) is going to a donation page. Please remove this editor. Hi Rob! I loved your article and I was wondering if you could help save all these hours that I am spending looking for an online solution. I would like to stream but my voice (45 yrs old) is not great. I would like to make my voice more attractive to the audience. I am looking for a real time voice editor/changer as I hate the way my voice sounds. The Voice changers that I have downloaded make my voice sound so fake and in order to try a product I am prompt to buy it. I dont mind spending money on buying a product as long as I know that it will work in real time streaming and the result wont sound fake or like Im an Alien/Robot. As a Ubuntu user I was looking for something lighter and Audacity. Audacity also makes a 1+ gb file for a 1 hour file to edit. That is not good for my 32 gb hard drive! That was how I found this web page. I tried oceanaudio and this was exactly what I was looking for… more than better! The UI was so friendly and easy to use. However, GDebi said that it could be a security risk to install deb files without being in the standard distribution. How do I know that this safe? This weekend we made a home movie via an iPhone. It has some background noise, a truck, and a dog barking. Is there some sound editing software you would recommend that could take this out? For reference, as of August 13th 2016, with the release of version 5.0, Ardour now runs on Windows too. Great guide, thanks! I like to use Audacity. Free, and easy. Good post Rob, I didn’t know about all the cats in this list. I’m familiar to Audacity because my school forced us to use it to send our oral english exams via internet. 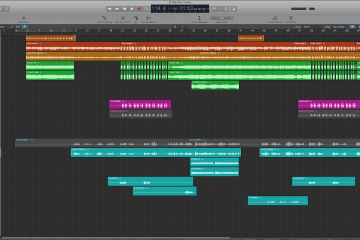 As for DAW usage, I go with Studio One by Presonus which is pretty intuitive and easy to get going. Audition by Adobe is also great, and it’s featuring in their creative cloud membership so if you’re a designer making also music, like in my case, that makes all sense :) Looking forward to read your next posts. Thanks for your comment Lionel! Have never had the pleasure of using Studio One but have heard great things and will definitely use it someday. Love the way it looks.